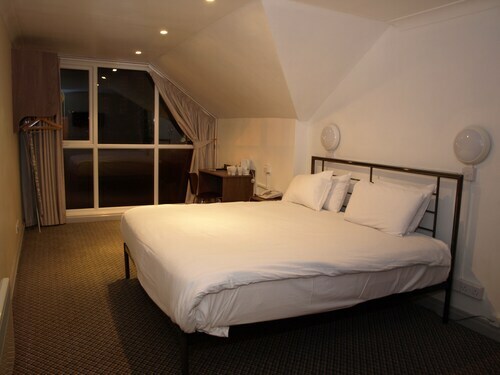 Situated in Oldham, this hotel is within 6 mi (10 km) of Manchester Velodrome, Portland Basin Museum, and Etihad Stadium. Piccadilly Gardens and Manchester Arena are also within 9 mi (15 km). Westwood Tram Stop is 11 minutes by foot and Oldham King Street Tram Stop is 11 minutes. Situated in Oldham, this apartment building is in the same area as Portland Basin Museum, Manchester Velodrome, and Dove Stone Reservoir. Area attractions also include Rochdale Town Hall and Etihad Stadium. Situated in Oldham, this vacation home is within 6 mi (10 km) of Portland Basin Museum, Manchester Velodrome, and Etihad Stadium. Piccadilly Gardens and The Gay Village are also within 9 mi (15 km). Oldham King Street Tram Stop is 20 minutes by foot and Oldham Central Tram Stop is 24 minutes. 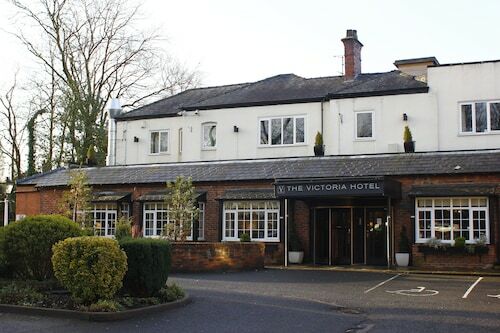 Situated in Oldham, this hotel is within 6 mi (10 km) of Manchester Velodrome, Piccadilly Gardens, and Heaton Park. Manchester Arena and The Gay Village are also within 6 mi (10 km). Hollinwood Station is 11 minutes by foot and Manchester Moston Station is 13 minutes. If you enjoy the hype of a roaring crowd, Boundary Park is just the place to go. It's to be found in Oldham, 10 miles (16 kilometers) outside of the great city of Manchester. 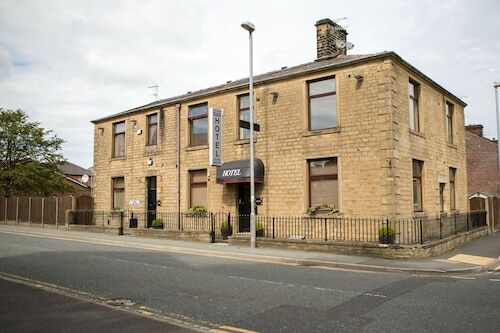 The 247Hotel.com is only 1 mile (2 kilometers) from Boundary Park, making it the ideal place to indulge in a little rest and relaxation while you're here. Fed up with running up big bills for somewhere to stay? Then go straight to the Kingscliffe Guesthouse, a bargain solution that's located just 4 miles (6 kilometers) away. There are a handful of high-end establishments a short commute away, perfect if you’re feeling like you need a little pampering. The White Hart and The Broadoak Hotel are popular. With all the excitement of traveling to new places, it can be all too easy to neglect eating. Just a short hop away, Ahmeds Cafe is a great place to top up your batteries. If it's a hearty dinner you're looking for, try Premier Inn Oldham Central, a nearby venue that's popular with locals and wanderers alike. For those that enjoy rounding out the day with a refreshing beer or wine just down the street, Brewers Fayre Clayton Green will be serving drinks all night. Discover the exciting indoor games and activities available at WOW Playcentre. Organize a trip to Oldham Coliseum Theatre and revel in watching talented actors give it all they've got. Become immersed in the local arts scene when you get a seat at one of the many plays currently on at Lyceum Theatre. Admire the impressive artworks that are currently exhibited at Gallery Oldham. You'll enjoy spending some time at this game-lover's haven. Manchester Paintball Arena offers an array of entertainment that'll give you a bit of a challenge. How Much is a Hotel Room in Boundary Park? Hotels in Boundary Park start at $49 per night. Prices and availability subject to change. Additional terms may apply.